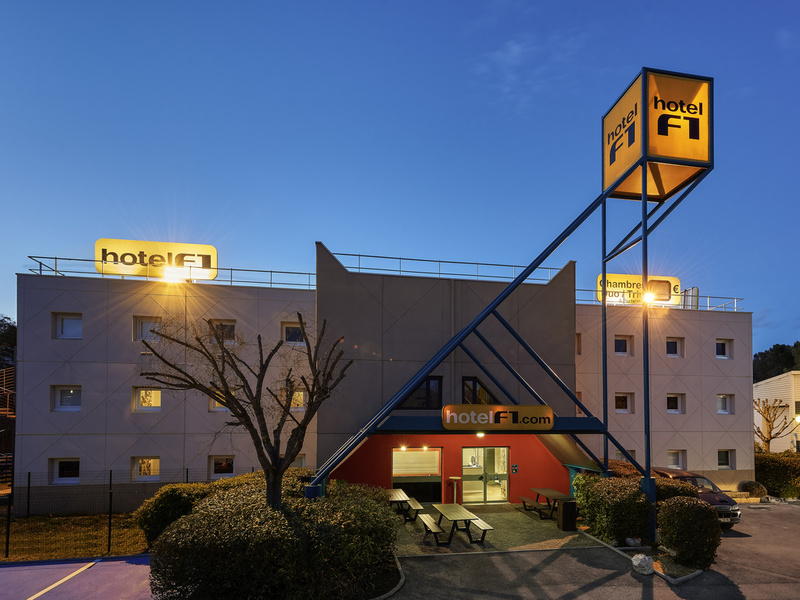 At the heart of the La Valentine business district in Marseille, the low-cost hotelF1 La Valentine is located 5 miles (8 km) from Marseille city center, the Stade Vélodrôme and the Chanot Exhibition Center, 9.3 miles (15 km) from the Calanques of Cassis a nd 4.3 miles (7 km) from the trails of Marcel Pagnol. It offers DUO and TRIO rooms at very economical prices with free WIFI and enclosed parking. Our new "On the road" concept is coming soon! Your hotelF1 is currently undergoing renovation work.